Lucy figured out how to make sushi at home. 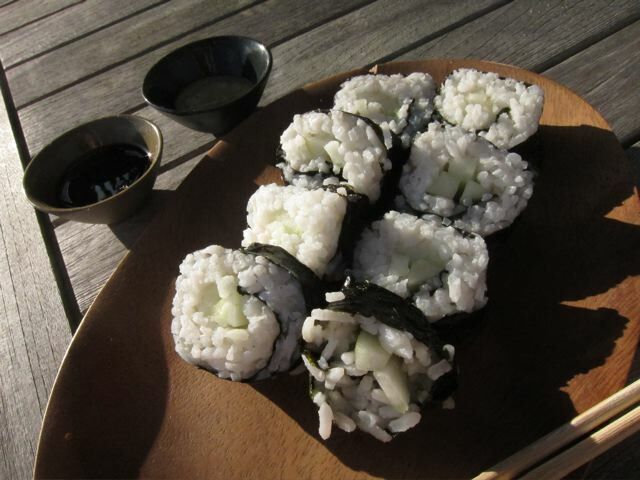 She used a placemat instead of the traditional bamboo rolling method to create these delicious cucumber rolls. She also fashioned chop sticks out of wooden skewers.